Jodi Picoult, author of "A Spark of Light." 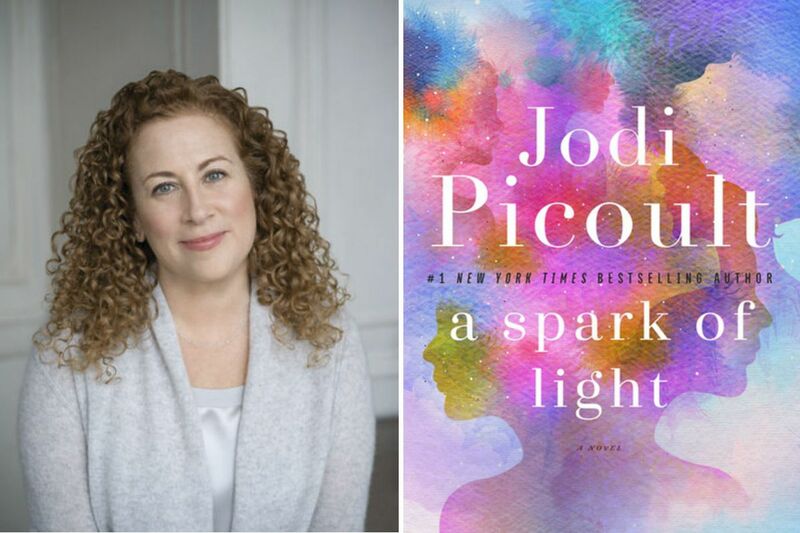 Jodi Picoult has tackled, as she once enumerated for an interviewer, “neonaticide, the death penalty, mercy killing, stem cell research, the right to die, gay rights” in her long career. What could be left? For her 27th novel, the controversy du jour is abortion — specifically, a shooting at a family planning clinic in Jackson, Miss., and how lives inside the building and out are touched over the course of one long day. This being Picoult, of course, there is a gimmick. She tells A Spark of Light backward; beginning at 5 p.m., each chapter jumps back an hour until it’s breakfast time. This has the effect of peeling back the layers of the characters and their motivations (the doctor whose mother died from a botched abortion, the undercover provocateur, the ambivalent patient, the girl facing murder charges, the gunman himself), but it also contributes to a confusion that’s perhaps reflective of such a traumatic incident. There’s a Janine and a Joy and a Bex and a Beth, and it takes a few moments to remember who’s who and what their backstories are. Thankfully, the narrative keeps returning to 15-year-old Wren, who has come to the clinic with her trusted aunt to obtain birth control, and her police officer father, who is (rather unethically) overseeing the hostage operation. Dad and daughter are the heart of the book, the reason to keep reading — at least until an eleventh-hour twist that is best ignored. Picoult has done her research (the afterword details the hundreds of interviews she conducted), and she treats the subject with admirable evenhandedness. Yet it’s obvious where her sympathies lie. Will this turn off some of her loyal readers? More likely, some minds on both sides will be changed, or at least challenged, by Picoult’s thoughtful prose. This review originally appeared in the (Minneapolis) Star Tribune.